SWALLOWS AGENCY are delighted to offer a stunning 7 bedroom house, beautifully presented throughout to provide superb family accommodation finished to the highest standards. SWALLOWS AGENCY are delighted to offer this handsome 4 bedroom Period House that has undergone total renovation throughout to provide a stylish home in a superb location. Additional outbuildings suitable for a variety of uses. 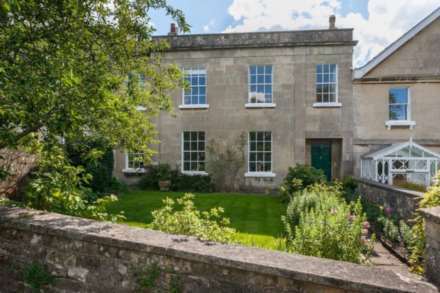 SWALLOWS AGENCY are delighted to offer an attractive 4 bedroom Regency Townhouse in a peaceful location close to shops and amenities in Bear Flat and within easy walking distance to Bath Spa Station and the centre of the City. **LET FIRST VIEWING**SWALLOWS AGENCY are delighted to offer this stunning furnished 3 bedroom maisonette in a prestigious location with well proportioned accommodation along with a single garage and an attractive courtyard garden. Available immediately. SWALLOWS AGENCY are delighted to offer this immaculately presented barn conversion with 5 bedrooms, 6 bathrooms, a kitchen breakfast room, sitting room, 34 ft family room and office. There are large gardens, ample parking and double carport. SWALLOWS AGENCY are delighted to offer a spacious refurbished family house with flexible contemporary living space, ample parking, a double garage and large informal gardens. 5 bedrooms and 3 bathrooms. Available immediately. SWALLOWS AGENCY are delighted to offer this detached 5 bedroom Parsonage with an additional one bedroom annexe. 3 reception rooms and kitchen/breakfast room. Range of outbuildings, garaging, formal gardens, former tennis lawn and paddock. Available beginning of July. *LET FIRST VIEWING* - SWALLOWS AGENCY are delighted to offer a superb barn conversion in a quiet residential location close to the picturesque towns of Castle Cary and Sherborne. 3 reception rooms, kitchen/breakfast room, 5 bedrooms 2 bathrooms & shower room. SWALLOWS AGENCY are delighted to offer this executive new build property on an exclusive development. Finished to an extremely high standard with 2 reception rooms, large kitchen dining room, 5 double bedrooms, 2 bathroom and 2 shower rooms. Double garage and garden.